Today, most visitors of museums have a smartphone. This offers new possibilities for interaction of visitors within an exhibition. Noterik invites you to a seminar about the way your visitors can use mobile devices to interact with the media elements in your exhibition, especially video. An example is a smartphone that is used to select certain video fragments which are then showed on a bigger screen. Or let visitors tag moments in a video and add their comments. Visitors will be able to see the input of other visitors. How to identify specific fragments in your video collection. How to facilitate time-based indexing of your collection (search fragments). 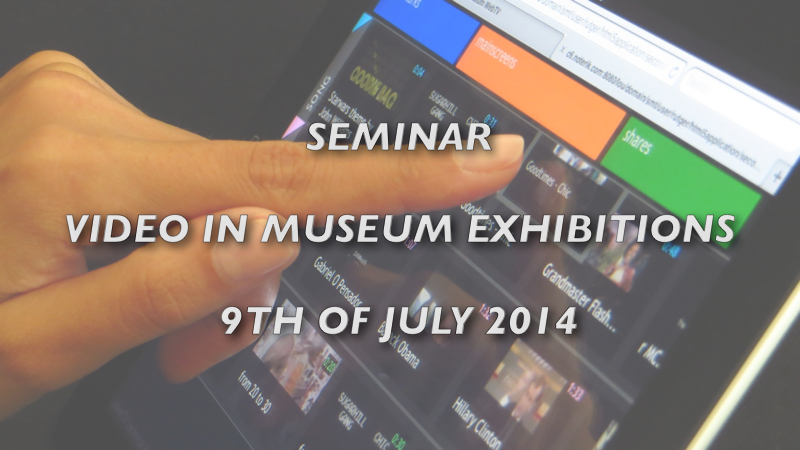 How to enable visitors to use second screen navigation on a video collection in an exhibition. How to let visitors use a tablet or phone as a remote control of a video presentation shown in an exhibition. A detailed program and the exact location will be mailed to registered participants. To keep it an interactive session we will limit the amount of participants to 12 people.